Sell your COMUS items on eBay ! Forty years after the release of their stunning First utterances album, Comus comes out of their almost 30 years lethargy, by reuniting for a Swedish festival and eventually releasing the live recording. It would be another three years untim we see further album activity, with the aptly-titled Out Of The Coma, and its clear artwork reference to their awe-inspiring debut album. A very risky bet, of course, because we've see dozens of bands break their own legend. There was also a fear from most FU unconditional fans to find their new album closer to their 75-released To Keep From Crying, but these fears proved unfounded, even if OotC is somewhere between those two albums. One of the very positive thing is that the modern-day group's line-up features five original members, with only the (sadly) deceased Lindsey Cooper replaced by the younger Jon Seagrott on woodwinds (sax and flute, rather than bassoon and oboe), who also designed the album's outlay and fit the different artworks of the booklet (including some rare 72 session photos), one of which is from The Red Masque's singer Lynette Shelley, who's a major fan of FU. So besides the two "voices", the eerie one of Roger Wootton and the crystal-smashing one of Bobbie Watson, we find Pearson's violins, Hellaby's bass and Goring's many guitars? It looks like they've got most of the trump cards in their hands. Of course, it is the Maalgard Suite that holds most our hopes, as this was supposed to be the main work of their second (but lost) full-fledged album. The only witness of that conceptual piece is a live-recorded cassette miraculously found, dusted and restored (as much as possible) of the first part. As you'll easily guess, the sound is anything but great, but whatever you'll hear will enchant you, as you'll realize that their would-be second opus would've at least looked equal to FU. Sadly, the second part was never recorded, but apparently it was written. It is therefore a little sad that Comus didn't choose to re-record the first instalment and record the second yet-uncommitted to tape second part, and then maybe add the live recording as a bonus track. Another disappointment is the spoken explanation between the new material and the historic live tape. I'd have been much happier if I had read it in the booklet, rather than be subjected to the explanation every time I spin the album. Well, now here's a surprise! It is rarely so that a band release an album after a hiatus of the odd 40 years and it's like they never split up in the first place. 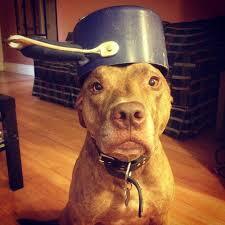 More than often comeback albums of bands from yesteryear or even longer put out an album merely lukewarm, if that. In this case it is just the opposite. Comus. Who were they? Who are they? Musical geniuses? Demented occultists? I suppose the truth lies inbetween. There is no question in my mind that Comus are brilliant in a weird, scary, demented way. In the garment of british folk they rear their ugly head and behold, there is light in the darkness and I am willing to follow this askewed light wherever they go. I often find myself categorising Comus as Hammer Horror folk. If you've ever seen one of Hammer's productions I think you know what I mean. There is quite a resemblance between these two. Listening to Comus I see before me misty, british meadows, gently stroked by the morning sun but behold, in the far lurks the creatures of the dark. The people who dwell in the dark side of existance. Purple garments. Horned helmets. Crooked daggers and incantations. Blood and gore. "Out of the coma" is an aptly named title for an album so long in the waiting and starts off with the powerful title track. Great instrumentation and vocals from the depths of humankind. "The sacrifice" and "The return" are equally impressing, though the latter is very beautiful and gives somewhat of relief to the other tracks horror-like soundscapes. I suppose that the prize is really "The Malgaard suite". Shrouded in mystery and coming out of the past like a ghost it is great to hear. If I had been there in 1972 I probably would have found myself blown away, since it is a performance of great power. Coming off a cassette gathering dust for 40 years the audio is less than crisp. On the other hand the sound is amazing, considering, and gives a really good idea of what it must have been like witnessing Comus perform live. Don't get yourself worked up about the audio quality. It is amazing considering it's age, like I wrote, and is truly an amazing experience. It is nigh on impossible to decipher something or anything of the lyrics but in some sort of way it only adds to the experience. A rare moment in time, thought to have been lost for eternity, rises through the ashes and presents us with something truly unique. I am not saying that "The Malgaard Suite" is the best song by Comus, simply that it is a raging piece of music so historically important and rare it transcends imagination. Glorious, really. Maybe Comus will get around to record it in the studio alongside part 2 and that would be truly awesome. The Comus trademarks, beauty and horror in perfect folk harmony, are all very evident on "Out of the coma" and is all you could wish for (and more) from a band who left such a legacy 40 years ago and then lying dormant in obscurity, a secret known only to the initiated. This is truly an amazing feat and this morning I've listened to it for several hours, discovering more and more of the secrets on the album. The folk that Comus presents is one where the boundaries of the genre are stretched to the limits and maybe even beyond the pale, into the wild. I cannot stop listening to "Out of the coma", it's just too enjoyable and I fear I could go on forever ranting about it's brilliance. Comus may not be the easiest of bands to listen to but the reward is so much greater. I am reluctant giving the album five stars but then again it is a magnificent record, in some ways surpassing First utterance. How weird is that? But hey, "weird" is the trademark of Comus anyway. One of the key ingredients that make the album so great is that the vibrant, youthful inspiration of 1971 has matured into the elderly grace and knowledge of life and the ugly side of being. That makes Out of the coma so worthy an album it is rare in the true sense of the word. Ah, why not? It is a flawless album. Here's to Comus á la 2012, you are worthy of the five star rating. Here you go. COMUS is one of those bands that despite really only having created one outstanding album of their career, nevertheless transcends the very nature of time and space with their debut album "First Utterance" having become a cult classic after the fact and inspiring generations of music lovers with their utterly magically dark folk magnum opus. It does indeed seem that the album was divinely ordained as even Roger Wootton's memories of the time period were bleak and depressing and absolutely nothing about the recording of the album worked out as planned. The band members still deem it as not as good as they wanted it and the music world of the day didn't quite know how to perceive it. It was initially released with only 1000 copies and pretty much got buried under the more accessible prog rock albums of the day, but time has vindicated this phenomenal classic as it stands as one of my personal all time favorite albums. A desert isle pick most likely ranking in my top 5 albums of history. And i'm not alone in this regard. The album went under the radar by even the band members themselves. They, themselves, had not even known what a gem they had produced. After "First Utterance" hit the market in 1971, the band quickly splintered and scattered off into their own respective worlds. Roger Wootton would continue the brand name COMUS only to fall into the commercial trappings of the music industry and released the utterly disappointing followup "To Keep From Crying" four years later. After that fiasco he was enticed to fall even deeper into the lame-o-sphere by recording solo projects that utilized cheap poppy calypso and cheesy middlebrow compositions of mediocrity. By the mid-70s, it was inconceivable that COMUS ever released one of the most renowned cult albums in the entire history of music. However, that one album of pure genius and divine intervention did not go unnoticed. Over the ensuing decades, "First Utterance" became one of the most revered albums of the entire dark freak folk universe. As the decades elapsed, new generations who experienced "First Utterance" for the first time were floored by the sheer intensity of the album which led to a new generation of progressive folk inspired music that emerged in the form of Mikael Åkerfeldt adopting lyrics from "Drip Drip" for the title of an Opeth album "My Arms, Your Hearse." 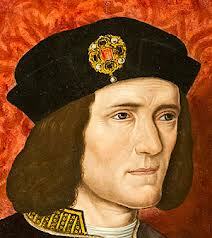 He would continue this trend on "Ghost Reveries" with the track "The Baying Of The Hounds" from the track "Diana." Likewise David Tibet would also find inspiration in "Diana" by including his own demented version on the Current 93 album "Horsey" released in 1997. Something clearly resonated with the COMUS debut as it did with yours truly and still remains one of those musical gifts from the gods, in this case, the party god COMUS. After the train wreck followup of "To Keep From Crying," it seemed unthinkable that COMUS would ever emerge from the shadows to release what could be regarded as a "proper" followup, but finally in 2012, the year that ends the Mayan calendar, that's exactly what they did with OUT OF THE COMA. The 2008 reunion concert in Sweden only reinforced the momentum and it seems the conspiracy of action was inevitable. First of all, OUT OF THE COMA should not be viewed as a bona fide followup to "First Utterance." Instead it would be more appropriately thought of as a proper "what could have been" type of album. I mean, the band never had the proper self-esteem to carry on the"First Utterance" paradigm and literally imploded from the getgo, This album more rightfully corresponds to a "what we really wanted but never happened finally comes to fruition in a less than perfect way" reality. Oh well. In this dimensional plane where the negative and positive dance like drunken ballerinas trying to do the tango, that is good enough for me. OUT OF THE COMA delivers the goods in that regard with three totally new tracks and a less than perfect recording of the lengthy "The Malgaard Suite" which was intended for the authentic second album that never came to be. The 35 year absence from one of the dark progressive folk's most stunning examples finally ended in 2012 as COMUS released OUT OF THE COMA. Once again, Roger Wootton provided the next stage in his ballpoint cover art which depicts the drunken character of the debut upright and finding a new way to animate itself. Likewise the music follows suite with three extraordinarily good tracks for a band so far removed from their early days. This new rendition of COMUS includes all the original members with only Rob Young (keyboards, percussion, oboe, flute) and Lindsay Cooper (oboe, bassoon, vocals) not finding their way into the new reality of COMUS. The new lineup also includes the new member Jon Seagroatt who plays flute, soprano sax, bass clarinet, percussion and even joins in as recording producer. One major complaint about the album is the incongruous "Introduction by Roger Wootton" that narrated the history of "The Malgaard Suite" on original issues but has thankfully been removed by popular demand. I agree that it was unnecessary and distorted the musical flow. While one could nitpick to high heaven regarding the 2012 COMUS comeback OUT OF THE COMA, i have to say that this is a very welcome addition to the band's canon that needed to happen to explain the WTF history in a more refined context. Immediately two things hit me like a ton of bricks. Firstly Roger Wootton has lost his vocal range but still remains within the limitations of his vocal range as a much older guy and also that Bobbie Watson is still a supreme goddess who sounds as estrogen filled in the modern era as she did in her primetime, a major wow factor for an aging soprano. Secondly, the new tracks are very much a continuation of the debut. While not exactly outperforming anything from "First Utterance," OUT OF THE COMA more than blows away the substandard "To Keep From Crying" away. It may have taken 41 years to release a proper followup but that's exactly what COMUS did. Musically the band picks up where "First Utterance" left off. You know, those beautifully constructed raw acoustic darkened stabs in the heart with frenzied execution that implement full acid rock energetic antics in a totally folk based context with utterly haunting atmospheres. The three new tracks exhibit a nicely up to date approach of the past. Exquisitely divine acoustic guitar fingerpicking, beautifully eked out melodies and and the beauty and the beast approach to vocals before metal ever latched onto the idea. The title track, "The Sacrifice" and "The Return" display COMUS' unique brand of freak folk with tribal drumming, lugubrious violin and the expected display of dark subject matter. While some may criticize "The Malgaard Suite" as an incomplete and dreadful underproduced relic from the past that should have been re-created for a bona fide followup album, i have to say that i kinda like it as it is. OUT OF THE COMA should be accepted for what it is, namely a statement of the band's history rather than a legit followup to "First Utterance." Roger Wootton and company had zero plans ever to revisit the COMUS universe and only succumbed due to the surprising vitality of their debut, a live performance enthusiasm in 2008 and the solicitation of artists like Mikael Åkerfeldt who initiated the whole reunion thing. As far as progressive artists go, rarely do they manage to sustain the spirit that made their heyday so special but despite not exactly living up to the lofty expectations of "First Utterance," COMUS did an amazing job at keeping the feel of yore while living within the confines of the presence. While i like others could've wished for a complete album that faithfully picks up where the debut album left off, i have to admit that i'm very happy that COMUS released this next best thing. Perhaps they were aware of the limitations of releasing an album so many decades into the future and this is simply the best we could've hoped for. While nothing will dethrone the debut from its lofty perch, this comeback is no waste of time in any way. 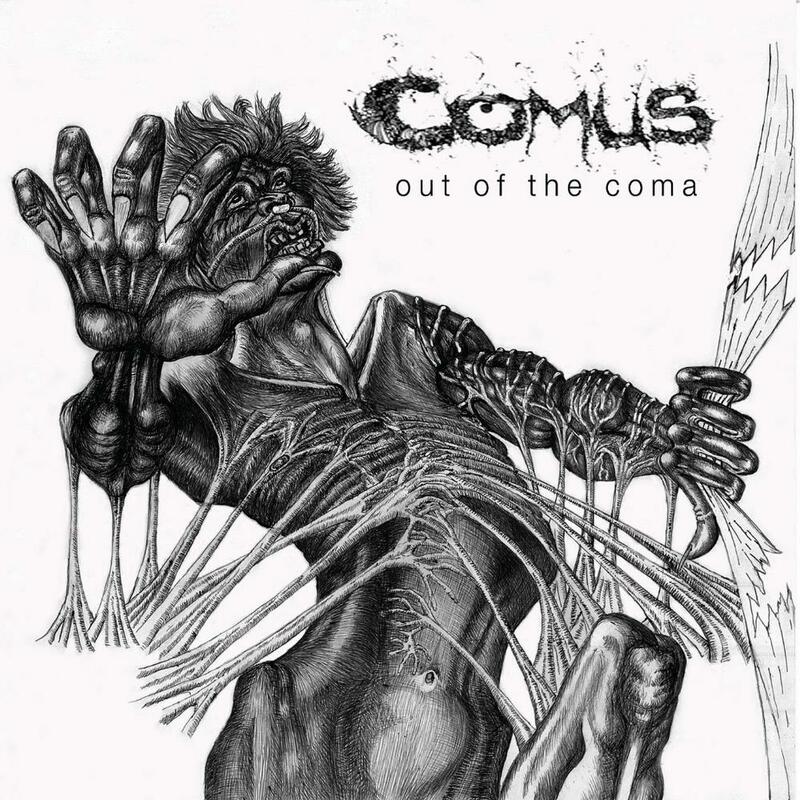 Post a review of COMUS "Out Of The Coma"